Welcome to the NE FL Scottish Games 9th ANNUAL Chariots of Fur 5K run/walk and 1-mile Fun Run - with or without your dog - on the beautiful beach of Jacksonville Beach to benefit Greyhounds as Pets. Runners & walkers will set their own pace - racing to win or walking for fun! 1:00 PM start for the 5K and for the 1-mile Fun Run/Walk; Awards ceremony at 2:05 pm; Festival until 3pm. Both the 5K and Fun Run top 250 finishers will be awarded a custom medal. The 2019 NE FL Scottish Games Chariots of Fur Beach Run & Festival will include a 5K, 1-mile fun run/walk and festival with sponsor booths, music, Lolly's Trolly food truck, dog demos, raffle prizes! $30 until Friday Nov 30,2018 at midnight. Make checks payable to Milestone Race Authority and mail to 3800 Sandy Shores Dr. Jacksonville FL 32277. Sorry, no refunds. Register online at www.ITSYourRace.com. An additional processing fee will be charged for online registration. Online registration closes on Friday, Feb. 1, 2019 at 9am. Click here to REGISTER NOW. To mail in a check and paper race application, print and complete the race application Chariots of Fur Race Application. If you do not pre-register before Friday, Feb. 1 at 9 am, you can still register the day of the race beginning at 12 noon before the Fun Run and 5K. An exciting out and back ENTIRELY on the sands of Jacksonville Beach. Run south on the beach from the Sea Walk Pavilion 1.5 miles to 25th Ave. S. U-Turn and return to finish on the walkway at the Sea Walk Pavilion..
Long Sleeve Shirts, medals to the first 250 finishers. RAFFLES & the Northeast Florida Scottish Games has donated 4 tickets to the festival on Sat Feb 23, 2019! 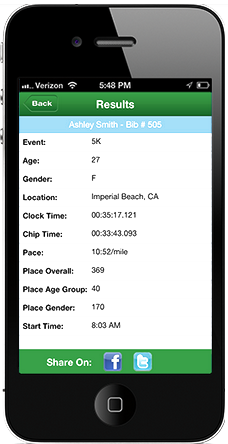 The 5K Race and the Fun Run will be timed and scored by Jaguar Timing Systems electronic bib tag. Your entry fee covers the cost of the disposable chip which does not need to be returned. Bib MUST be worn on the front chest to be scored electronically. Please do not fold the microprocessor. The Coveted Chariots of Fur Dog bowl will presented to Overall M/ F winners, Masters and top 3 in 5 year age groups from 14 and under to 70 and Over. 65 – 69, 70 over. Awards presentation will follow conclusion of the Main event. Join us for a Festival after the 5K and Fun Run for runner’s refreshments, sponsor exhibits, music, food trucks, dog demos, awards presentation, and raffle prizes! Take Beach Blvd. east all the way to the end at 1st St. N., turn left and park anywhere near the Sea Walk Pavilion at 1st Ave. N.
Parking is available anywhere near the Sea Walk Pavilion. For race participants who wish to book hotel accommodations for the race, dog-friendly hotels are available in the area. SPECIAL THANKS TO OUR SPONSORS and supporters! In addition to their Sponsorship of the 5K, the Northeast Florida Scottish Games has donated 4 tickets to the festival on Sat Feb 23, 2019!